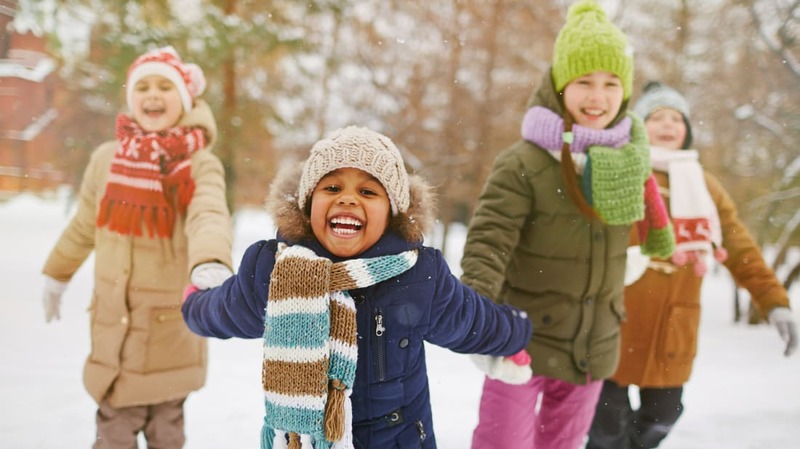 Using these tips, you can stay warm no matter how frightful the cold weather outside gets. 1. When cold weather is on the way, warm yourself first. It's easier to change your body temperature than room temperature, not to mention more eco-friendly. Instead of turning up the heat, put on another layer of clothing. 2. Wear a hat made for cold weather. Your mom may have said that you lose 80 percent of your body heat through your head, but that's not actually true. If you're otherwise clothed, you'll lose heat from any surface that's exposed in cold weather. So put on your hat, even if you're inside. 3. Turn on the ceiling fan. 4. Switch between hot and cold in the shower. Hot showers immediately warm you up, but cold showers improve blood circulation between your skin and organs. 5. Block drafts with a pool noodle. 6. Two words: programmable thermostat. Another two words: Obvious, right? Stay toasty on schedule, so you never go home to a living room that's colder than outside. You can even do it with your smartphone. 7. Trick a locked thermostat. Not everyone has access to adjust the thermostat in their apartment or office building. If that's the case, you may need to outsmart the device by making it "think" the room is colder than it actually is. Putting ice near it often does the trick. 8. Dress your windows up in warmer clothes. If you're not wearing a tank top or going sleeveless, your windows shouldn't, either. Replace thin curtains with heavier wool or fleece drapes in the winter. But be sure to open them on sunny days for free heat. 9. Go ahead, bake all day. Using your oven heats up the whole house. You'll feel even cozier if you invite friends—and all their body heat—over to eat four dozen cookies. If you're already interested in composting, here's another reason to do it: The microbial breakdown of organic material produces heat. Some people use it to warm up showers and greenhouses, but even small-timers in studio apartments can feel a difference. 11. Layer your covers with the thinnest, densest ones on top. It's intuitive, but fluffy blankets should be closer to your skin. Thin, dense blankets should be on top to prevent convective heat loss. Bonus tip: Don't put your bed directly against an exterior wall. You'll be warmer if you leave a little space. 12. Stuff your coat pockets with DIY hand warmers. You could just buy hand warmers, but you'll radiate pride and self-sufficiency if you make them yourself. All it takes is two Ziploc bags, water, and calcium chloride ice melt pellets from the hardware store.